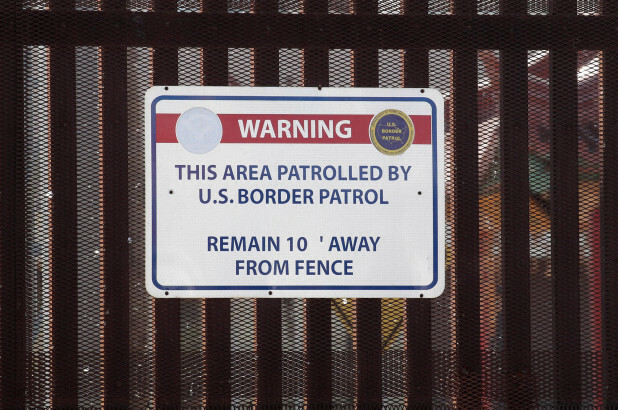 WASHINGTON – Nearly 4,000 more active-duty troops will be deployed to the US-Mexico border, the Pentagon announced Sunday, just as President Trump is weighing whether to declare a national emergency to build a border wall. The additional 3,750 service members will support the work of US Customs and Border Protection agents – increasing the total southern border deployment to 4,350. “Additional units are being deployed for 90 days, and we will continue to evaluate the force composition required to meet the mission to protect and secure the southern border,” the Pentagon said in a statement. Trump initially deployed the troops before November’s midterm elections in response to migrant caravans heading to the US. Democrats panned the effort as a political stunt since many of the migrants were seeking asylum in the US and were not trying to evade border agents. Trump declared the situation at the southern border a “crisis” and his insistence on $5.7 billion for a border wall with Mexico sparked a record-breaking 35-day partial government shutdown. Under pressure, the president agreed to reopen the government until Feb. 15 to give congressional leaders time to hammer out a deal to fund border security. If Congress doesn’t pony up wall funds by Feb. 15, Trump hasn’t ruled out another government shutdown or declaring a national emergency so he could divert Pentagon funds for wall construction – an action that would also attract legal challenges. Congressional Democrats have been very skeptical of Trump’s military deployment to the border and have demanded more transparency. Smith held a hearing on the border deployment on Jan. 29 and later blasted the Pentagon for not disclosing the planned troop deployment increase at the time. “This was at best an error in judgment, and at worst flat-out dishonesty,” Smith said.